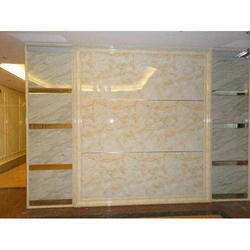 Supply of UPVC Marble sheet of the size 4ftx8ft. We have marked a distinct and dynamic position in the market by providing a high quality array of PVC Marble. Our offered marbling is availed in a variety of sizes and other such specifications to choose from. PVC Marble Waterproof, cost effective, no need of color, lightweight, long lasting. Price inclusive of vat and delivery charges.